Your browser does not support the video tag :( Try a recent version of Firefox or Chromium! Plus music by DJs Naam and Post-Toast! A Bed, A Chair and a Table is a publication about the Poortgebouw, a former squat and vibrant living community located in the South of Rotterdam. 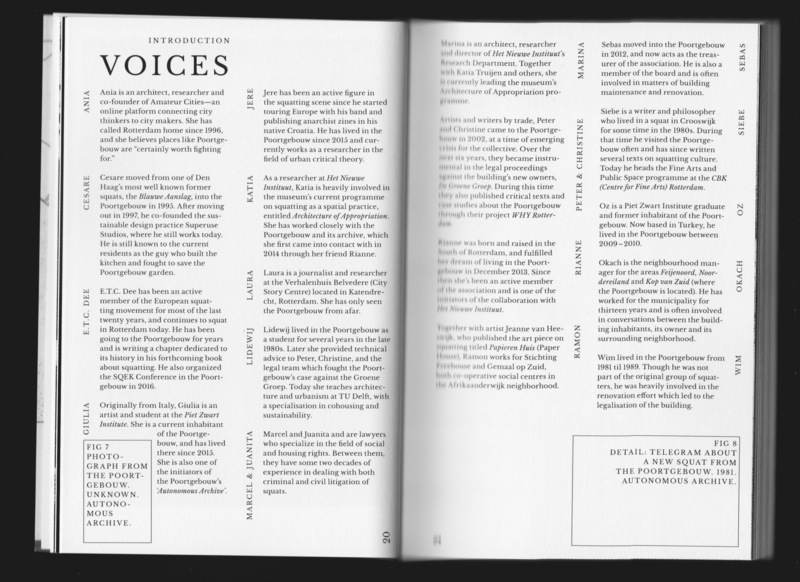 In this book, oral histories from inside and outside the Poortgebouw are interlaced with material from various institutional and personal archives. By bringing together these tales of resilience, political struggle, frustration and friendship with historical documents, this book brings forward new perspectives about the Poortgebouw's unique history and its importance in the contemporary city. 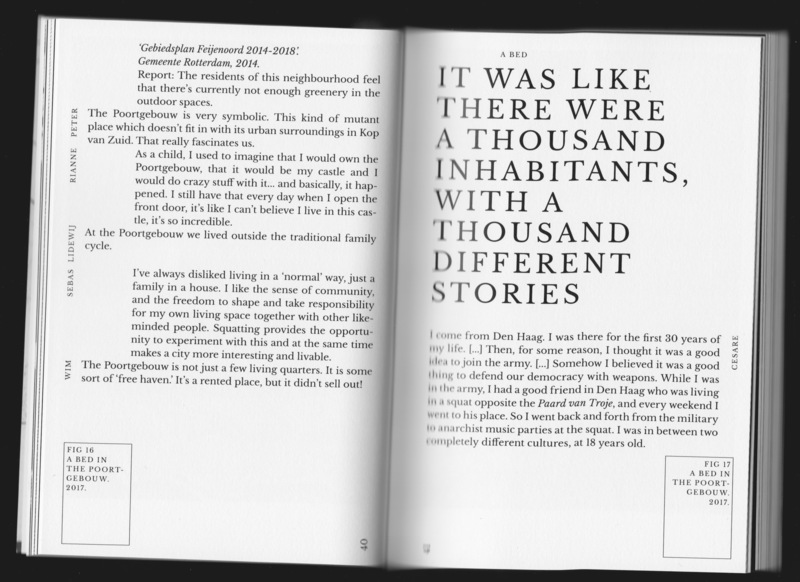 The starting point of the book was the Autonomous Archive, a local archiving machine built from parts of different computers by the inhabitants of the Poortgebouw and a group of students from XPUB. 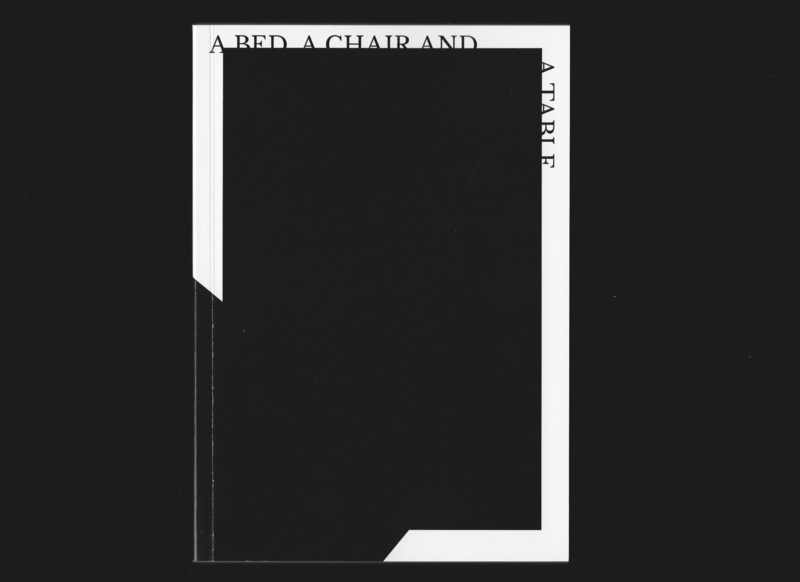 A Bed, A Chair and a Table is the fourth 'Special Issue' conceptualised, developed and produced by the students from the Experimental Publishing course (XPUB) of the Piet Zwart Institute Media Design Master. It provides a trigger for the reader to further explore the Poortgebouw’s past and to see this building, meet its community, and discuss a potential future amidst all of its complexities. It is a testament to the archive as not the end, but the beginning of a debate. Join us! Get your copy of A Bed, A Chair and a Table at the launch on Thursday December 7, at 18:00 at the Poortgebouw, Stieltjesstraat 38 Rotterdam. 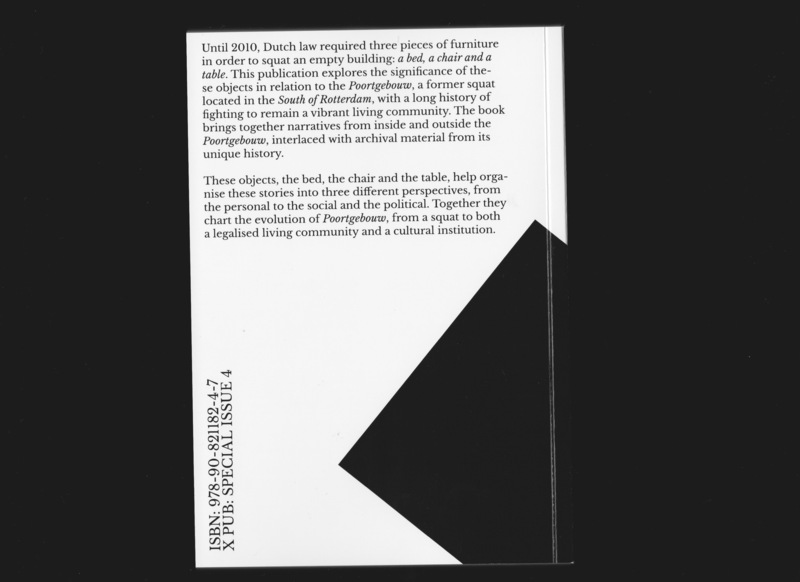 Special thanks to the inhabitants of Poortgebouw, the Autonomous Archive, the Architecture of Appropriation team/Het Nieuwe Instituut (Marina Otero Verzier and Katia Truijen), De Raddraaier and Antalis, Annet Dekker, Cia Franssens, Esther Krop, Wilco Lamberts, MayDay, Leslie Robbins and Zine Camp. Book launch Thursday 7th of December 2017, 18:00 at Poortgebouw, Rotterdam.